Rates: Our rates are $135 to $165 single/double occupancy – rate includes full breakfast. Additional Guest: Our guest rooms have one king size bed and are not equipped for additional guests. 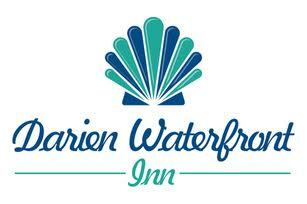 Cancelations: The Darien Waterfront Inn is a small property with five guest rooms where every reservation is both important and special to us. If your travel plans change and you must cancel your reservation, please call us at least 7 days prior to your arrival date to cancel your reservation for a full refund. Check-in: 3:00 PM – 6 PM. We make every effort to be available to greet you upon your arrival. If your travel plans have you arriving outside of check-in time, please let us know so we can make the necessary check-in arrangements with you. If your arrival time will greatly differ from the ETA noted on your reservation please keep us informed. Children: We have created the Darien Waterfront Inn is an adult-catering accommodation for those wishing for a quiet retreat. As such, our rooms have one king size bed and are unequipped for children. Breakfast: A full breakfast is served each morning from 7:15 AM to 8:45 AM. We offer one of the following options: Sweet Potato Pancakes, Blueberry Pancakes, Southern Style French Toast, Sausage, Ham or Spinach and Feta Quiche, Redneck Eggs Benedict, Fresh fruit, juice, coffee and tea. Dietary restrictions/special requests – please let us know about any dietary restrictions prior to your visit. We take requests! If there is something you would like to try – please let us know and we will do our best to make it for you during your stay. From the North: Take exit 49 (Darien) – at top of ramp turn LEFT and travel approximately 1 mile – Bear RIGHT onto US HWY 17S – Travel 1.5 miles and take the last LEFT before the bridge (Friendly Express gas station is on the corner) – travel 6 blocks and the Darien Waterfront Inn is on the RIGHT. From the South: Take exit 42 – Take a RIGHT at top of ramp – travel approximately 1 mile and turn LEFT onto US HWY 17N. In about 4.5 miles you will cross the Darien River Bridge and you will see our town ahead of you. Take the first RIGHT off the bridge (Friendly Express gas station is on the corner) – travel 6 blocks and the Darien Waterfront Inn is on the RIGHT.